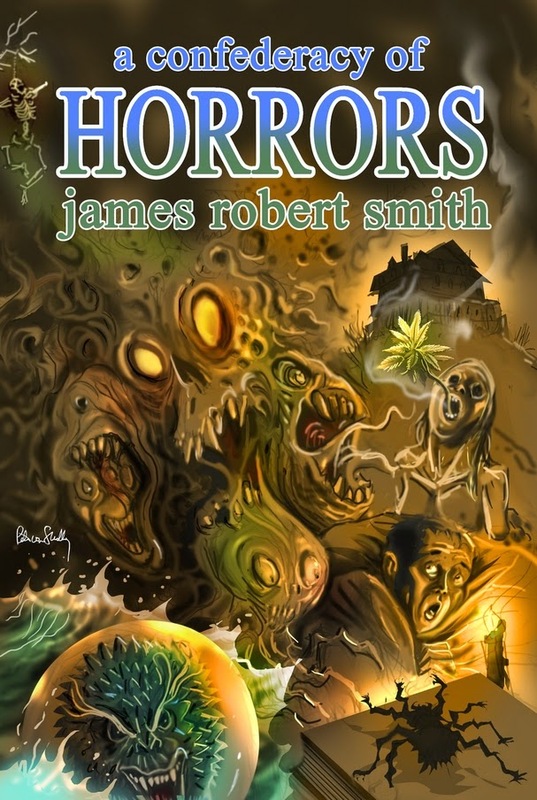 James Robert Smith | BLEEDING EDGE in Paperback! 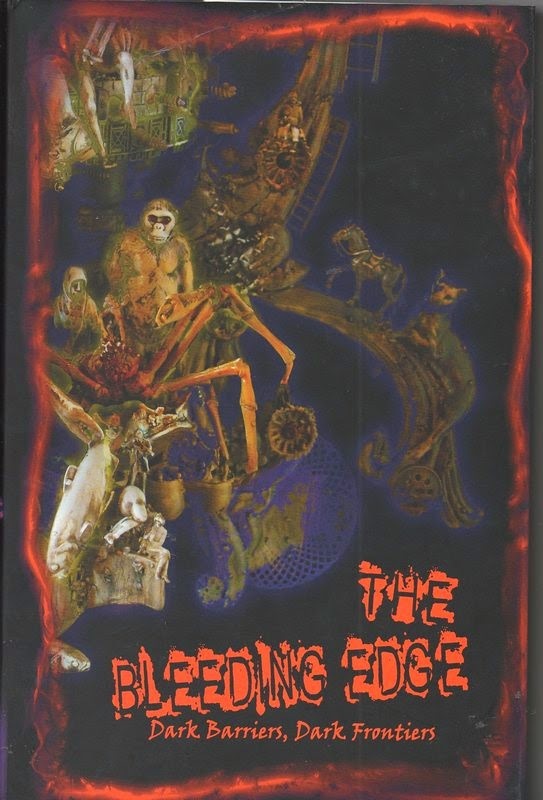 Hippocampus Press, the folk who just released my first short story collection (A CONFEDERACY OF HORRORS) have now put out a paperback version of the anthology THE BLEEDING EDGE (edited by Jason Brock and William F. Nolan). THE BLEEDING EDGE was previously only available as a limited edition hardback, so this is indeed welcome news! 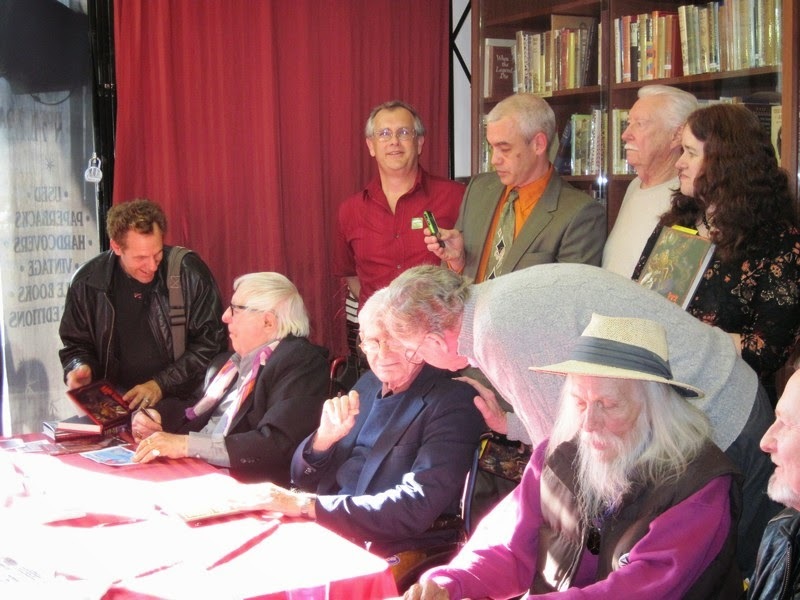 Some of my long-time blog audience should recall my trip to California to be a part of the mass author signing for the book. Ray Bradbury, Norman Corwin, and John Tomerlin were there and all three have passed away since. I was fortunate to have met them all that day. If you’re looking for a new volume of fantastic fiction for your library, buy a copy of this new edition of THE BLEEDING EDGE. 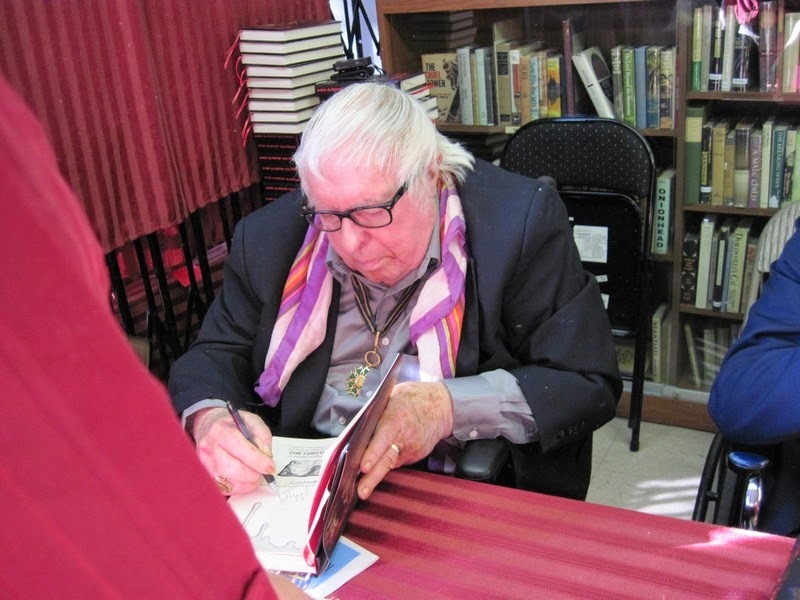 Ray Bradbury autographing my copy of the anthology. Among some genuinely great authors.